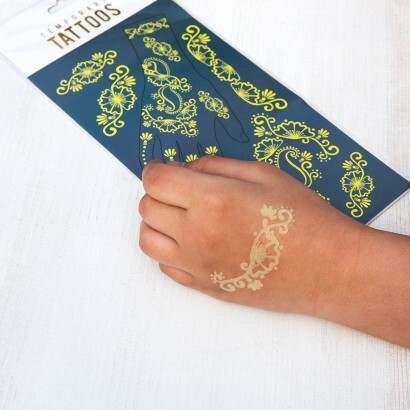 Don't neglect your hands when you're dressing for a party, these temporary hand tattoos decorate your hands with delicate swirling designs similar to henna tattoos, but the effects really stand out at night, as these tattoos glow in the dark! 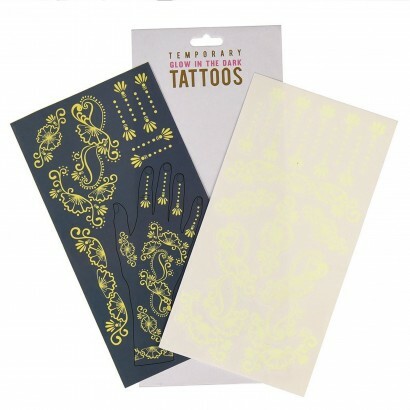 Ideal for parties or for fancy dress, these intricate designs are easy to apply using water. 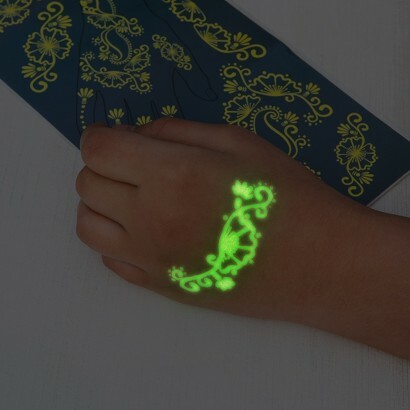 Once applied, these neon yellow tattoos will absorb the light to glow brightly in pitch black conditions.